Page Parkes Model + Talent: Page Parkes Fashion Agent, Ericka Perdue to Guest Judge! Page Parkes Fashion Agent, Ericka Perdue to Guest Judge! 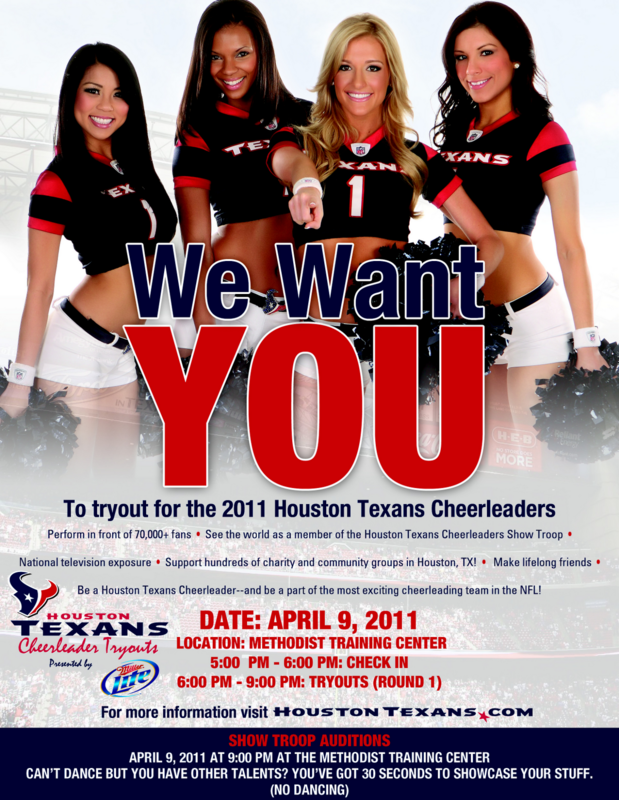 The Houston Texans want YOU at Cheerleader Tryouts presented by Miller Lite on Saturday, April 9th. Page Parkes Fashion Agent, Ericka Perdue, will be a guest judge, so come show what you’ve got! 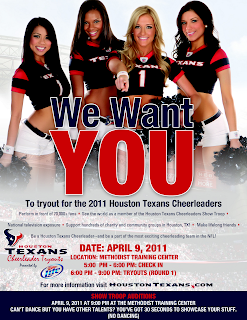 Visit HoustonTexans.com for information and to register. This is your time to shine!